Quick and easy supper full of Mediterranean flavors. 1. Wash eggplants, cut the stems and halve lengthwise. Scoop out the middle. 2. In a bowl mix and combine sausage meat, egg, feta cheese, mozzarella, almonds and pepper. 3. With a spoon, stuff the eggplants. 4. 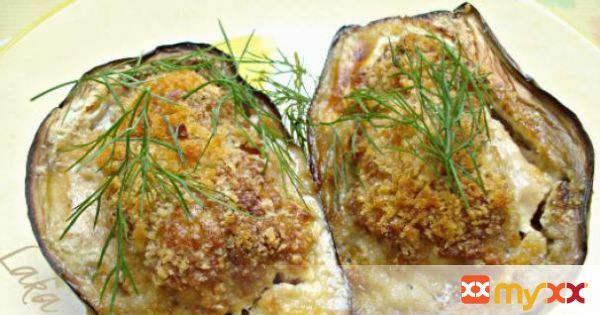 Sprinkle with breadcrumbs (about ½ tablespoon on each eggplant) and olive oil. 5. Place the eggplants on a baking sheet lined with parchment paper and bake in the oven for 25 minutes on 230°C (about 450F). 6. Serve hot, sprinkled with fresh, chopped dill, chives or basil.